I'm a girly girl who loves lace, floral and all things pretty! 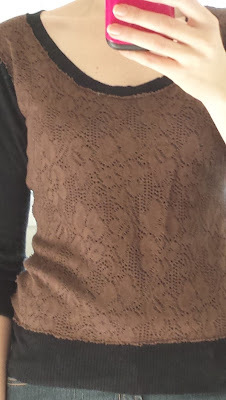 I had been seeing tops with different lace details in the shops and thought "I can do that!". I took an old knit top and decided to add the lace to the front; I simply sewed it over the existing shirt! 2. Pin a piece of lace to the top following the side, bottom, neck & should seams. Cut lace close to the line of pins. 3. Sew lace along line of pins; ensuring you don't sew the back of the top to the front! 4. Trim any excess lace to give a neat finish. life & bad weather got in the way of proper photos! Ta da! From boring to fabulous! 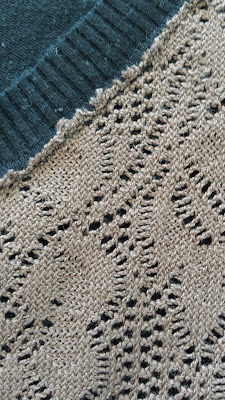 I liked the look of the raw edge of the lace, however if you want a more polished look I suggest making a narrow hem around your lace before attaching to your top. You could (and I probably will!) 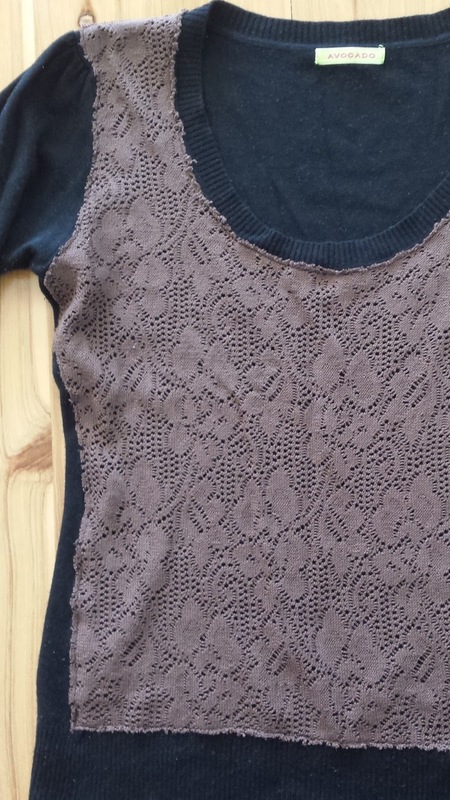 make variations by adding lace only to the shoulders, or giving your top a lace yoke, or sleeves, or back. The possibilities are endless! What a great idea! I love lace and florals as well. Can't get enough of them. This is so great to use to change up a top! You're such an artist! Love the idea of customizing with laze basic clothes. Great job! Thanks for sharing!